SAT-CON S.A.R.L,is a network telecommunication operator, covering analog, digital, satellite transmission and is one of the biggest TV operators in Gabon, Africa. In 2007, with the help of GOSPELL, SATCON set up the first Digital Cable TV systems in Gabon's capital. In 2011, SATCON, with the help and support of Gospell, began to build a new DVB-T system to comply with ITU requirements to utilise DVB-T as the digital standard for Africa. 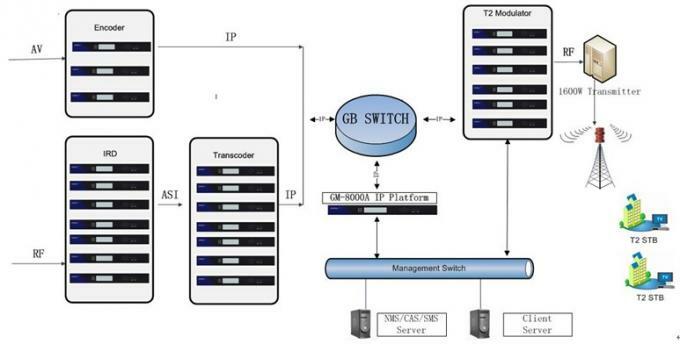 At the end of 2012, Gospell had built for SATCONfour DVB-T systems and alsointegrated one Gospell DVB-C system in Gabon. In January 2013, SATCON started to migrate from DVB-C to DVB-T2 and at the end of March 2013, the SATCON solution was running entirely on DVB-T2. Currently, the DVB-T2 system usessix channels to transmit 182 sets of programs andscramble 179 sets. In the near future, itwill use nine channelsto transmit more than 220 sets of programs. SATCON currently has 55,000 DVB-T2 subscribers, and the number is increasingmonth by month, inthe next two years, thetotal number is expected to reach 100000. SATCON also uses Gospell’s integrated system as well as Gospell’sConditional Access System ensuring security of data and content. Byproviding scrambling services, Gospell and SATCON can ensure that content is secure and protected and the solution ensures that only those who are entitled to view, can view.